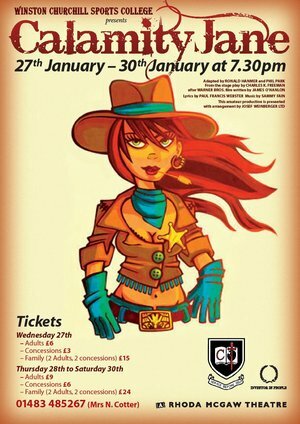 Winston Churchill took over the Rhoda McGaw Theatre in Woking for another 4 night run in January, this time bringing the Wild West to town. Another tremendous effort from all involved! And thanks to Tim Bracher (Calamity's Dad) for these cast photos. It's a tough call: Astroboy or Calamity Jane?! A few photos from the after show party.